A message you can get behind! For political events, here's an image that transcends the bipartisan divide. 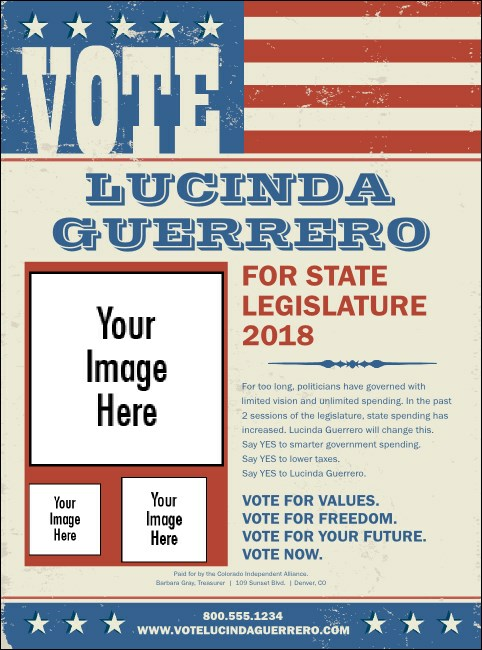 Everyone can agree that this Americana Flyer template is a red, white, and blue way to add your own small, medium, and large images to an advertisement that encourages everyone to get out and vote!